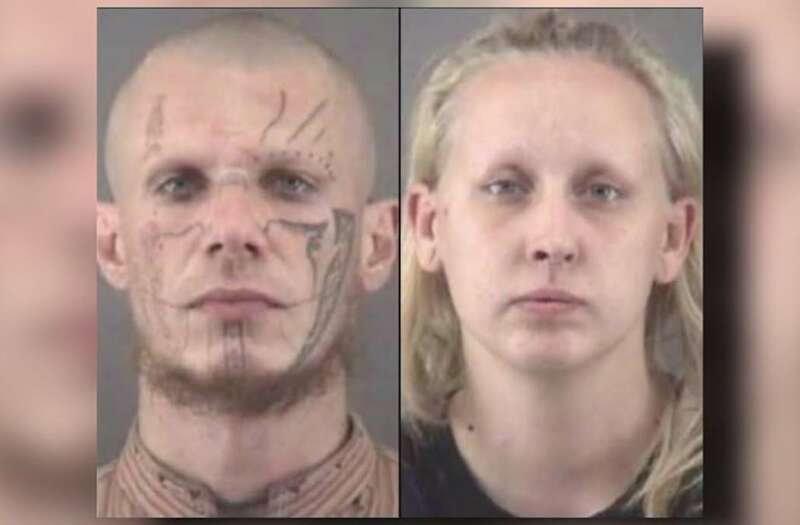 WINSTON-SALEM, N.C. (WGHP) — Amber Nicole Burch, who, along with her late boyfriend, Pazuzu Algarad, are accused of killing and burying two men in 2009 in the backyard of their Clemmons house, will spend 30 to 40 years in prison. Algarad and Burch were arrested on Oct. 5, 2014, and charged with the murder and burial of two men at their home. The two are accused of murdering Joshua Fredrick Wetzler and Tommy Dean Welch, then burying their bodies six years ago behind the home at 2749 Knob Hill Drive. Burch accepted a plea deal on Thursday, appearing in Superior Court. She is guilty of one count of second-degree murder for the death of Welch, one count of robbery with a dangerous weapon, and one count of accessory after the fact for the murder of Wetzler. Pazuzu, a self-proclaimed Satanist, was found dead around 3 a.m. on Oct. 28, 2015, in Central Prison in Raleigh, unresponsive with a wound to his arm, during a regular inmate check, according to the Forsyth County Sheriff's Office. Workers attempted unsuccessfully to resuscitate him and he was pronounced dead at 4:20 a.m. Authorities with the North Carolina Department of Public Safety say it was an apparent suicide. Here is a look inside the home where the skeletal remains were found buried in the backyard. Rooms and hallways were blanketed in trash and animal carcasses. The walls were spray-painted in graffiti, covered in mold and lined with hundreds of satanic photos and drawings.